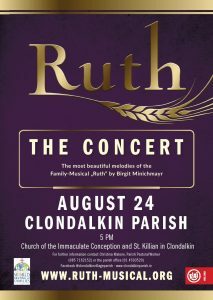 We are very fortunate that the KISI Kids will perform a RUTH concert for the parish on Friday 24th of August at 5pm. 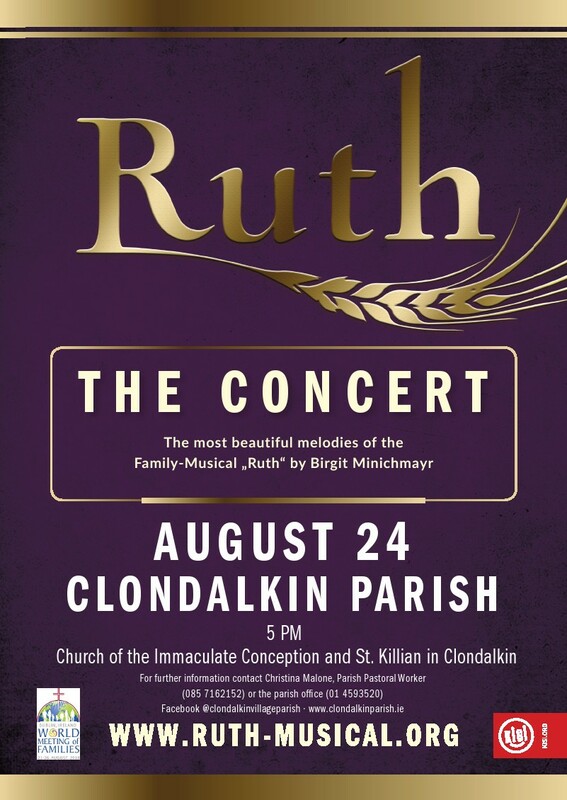 On that Friday we are celebrating the World Meeting of the Families in our own community here in Clondalkin. After the concert we have a social gathering to finish the evening with the celebration of the Eucharist at 7.30pm. 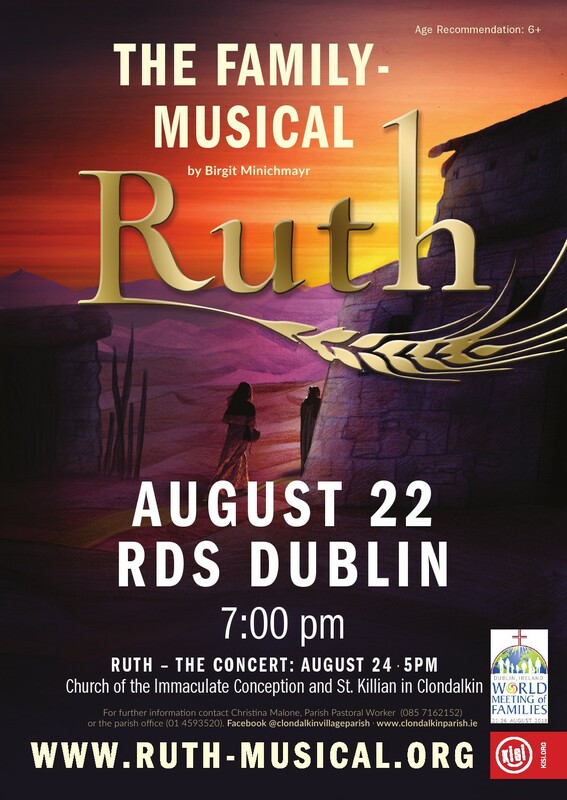 This evening gives you the chance to meet, to celebrate, to sing and to dance with this wonderful enthusiastic group. On Saturday, 25th of August the parish is going to bring the KISI Kids to Glendalough for a pilgrimage. 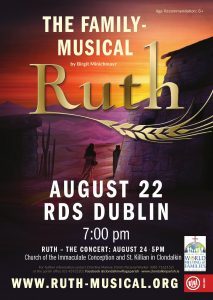 If you would like to be part of this parish pilgrimage please leave your name and contact details with me (Christina 0857162152) or the Parish Office (01 4593520).